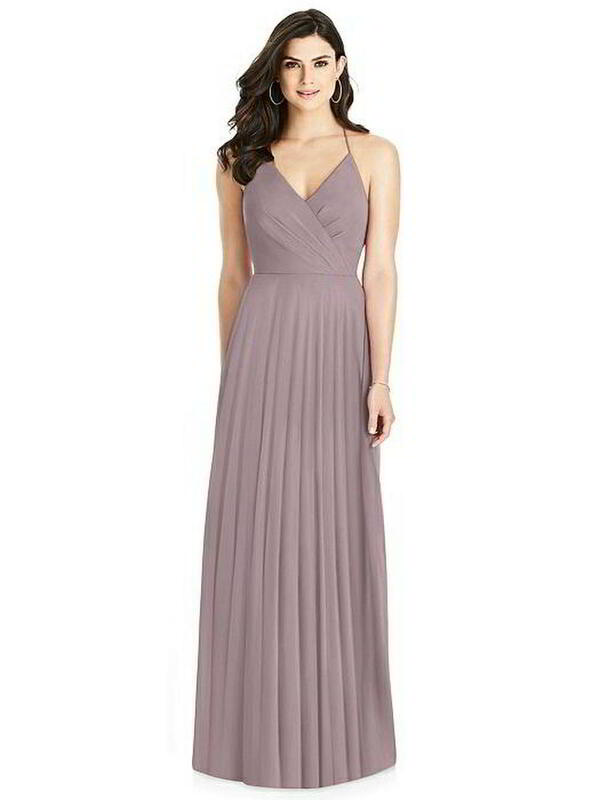 Full length lux chiffon dress w/ draped wrap bodice and v-neckline. Draped ruffle detail on inverted v spaghetti straps at low back. Modified circle skirt.